We are 80 miles from Fort William and 85 miles from Inverness. We are situated at the south end of the island, only five miles from the Skye bridge on the A87 and 8 miles from the only remaining traditional ferry link to the mainland at Kylerhea where there is also an otter haven. The ferry here is reached by way of one of the oldest and most winding roads on Skye, a drover‘s route which leads to the mainland at Glenelg where a pictish broch may be seen and lunch taken at the local hotel. Broadford, our nearest village is two miles along the mainroad and the rest of this lovely island is easily accessible from here. Tir Alainn is ideally placed to explore both north and south Skye. 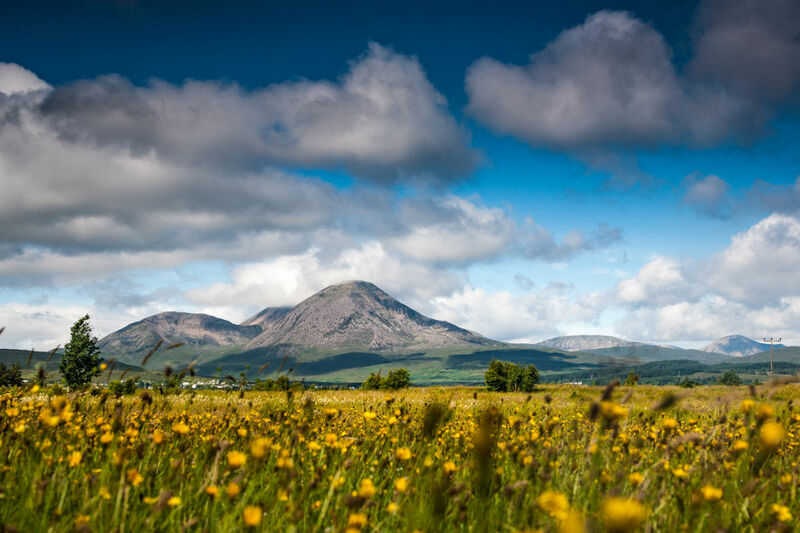 The Cuillin hills, the Totternish peninsular with the Quirang and Old Man of Storr, the Fairy Pools, Elgol (with boat trips to Loch Coruisk) and Dunvegan are within an hour’s drive away. Ron is a retired professional mountain guide and can advise you on local walks and climbs. He may even accompany you on some walks. Maps and guide books are provided for guest use.